Dirt-poor, sensitive as poets, and proud as kings, the Powell family has lived on a Georgia mountain top for generations. Then, during the 1960’s, young Ursula Powell’s father convinces the Tiber family, owners everything in nearby Tiberville, to commission a huge iron sculpture of a bear for the town. Decades later the strange sculpture – rejected by the townspeople and left to rust on the Powell farm – symbolizes a family’s failure and thwarted dreams. But, unknown to Ursula, it is now worth such a huge fortune that the artist’s embittered son, Quentin Ricconni, is coming to reclaim it . . . and to change everything Ursula believes about the past, the choices that break a heart, and the redeeming powers of art and love. Deborah Smith, a sixth-generation Georgia native, is a former newspaper reporter and editor. She has more than 1.5 million copies in print of her previous novels, including the bestselling A Place to Call Home. Deborah is married and lives in the mountains of North Georgia. Shape Safari Pro is a puzzle which you can get today just for free. The objective is to re-create the shape that’s provided by first, choosing the correct shape, and second, manipulating it properly to make the perfect match. 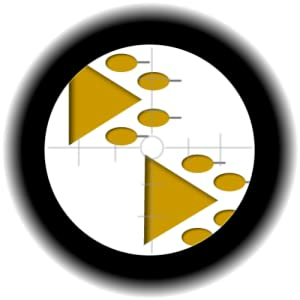 After you choose the shape, the manipulator options will automatically appear. The manipulators depict how the image will be affected using a constant sample image. If you need to smash your image, choose the manipulator that appears smashed. Initially, this may seem like a simple task, however with each successful match, the puzzle’s difficulty increases. Puzzles increase in difficulty based on level and number of steps until completion. These are added along the bottom of the screen and provide additional points once you complete a puzzle. The more difficult the level and more steps involved, the higher the point value. If you make a mistake, use the undo button. If you are totally stuck, use the hint button. A miraculous little green Android will appear to save the day. It will undo your mistakes and point to the next correct move, but the rest is up to you. Play an endless amount of puzzles and become a visuospatial genius. You can do it, and the miraculous little Android can help! 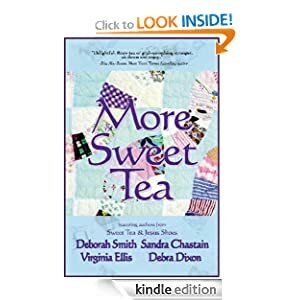 Today Amazon offers More Sweet Tea by Deborah Smith, Sandra Chastain, Virginia Ellis, Deborah Dixon, Maureen Hardegree just for $1.99. Settle back into that comfortable chair and enjoy a second helping of poignant, humorous and nostalgic tales about how things used to be in the legendary South. 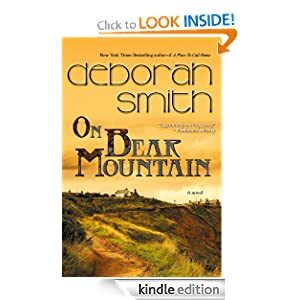 From vindictive mules and small town marriage rituals that include a pig, to Grandma’s story of how a quilt square got her a husband and a home remedy of the hemorrhoidal variety that goes awry, More Sweet Tea delivers what readers have been thirsting for since the first in the Sweet Tea series, Sweet Tea and Jesus Shoes. Also you can download Voltage Premium – it is a game for your Kindle Fire. Today only it is free for download from Amazon site. Toying around with powerful electric circuits just became casual gameplay. 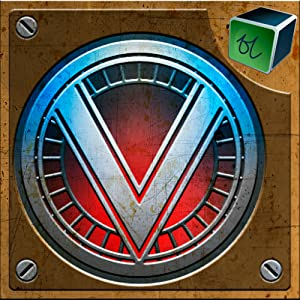 Voltage Premium is a challenging puzzle game that requires you to connect the blue electrical circuit with the red electrical circuit. The red current comes from the tube running up the left side of the screen, and the blue current comes from the right. Each tube contains multiple outlets. Connect to an outlet with a provided puzzle piece and slowly work your way across the screen until you connect the two currents. Similar to Tetris-style gameplay, you’re given one puzzle piece at a time, but they’re all different. Some pieces rotate, while others do not. Some pieces can slide across the top of your screen allowing you to drop them anywhere, while others sit stagnant. This is determined by the color of the piece. You’ll always know the next available piece which is displayed in the corner. Play smart; you’re only one step ahead. Earn bonus pieces for more turns, to swap pieces, or to activate a bomb. Most bonuses are earned after leveling up and appear as a colored button at the top of your screen. Colored buttons are good. We like to push colored buttons. Build the high-voltage circuit in two game modes: Timed or Unlimited. Compete with other players through OpenFeint scoring system. The diesel-punk themed graphics and high voltage snaps, sizzles, and zaps are ironically paired with an easy-listening, instrumental ensemble. It’s classy and dangerous! Now, would someone please hold my overcoat while I quickly fuse some dangerously high-voltage fuses? Kara Whittenbrook is an unlikely heiress. Down-to-earth and lovably quirky, she’s never fit in with the stogy Whittenbrook clan of Connecticut. Growing up at her parents’ rainforest preserve in Brazil, she has a quaintly off-beat view of life. Now her beloved parents have died in a plane crash, and Kara’s learned a stunning truth. She was adopted. Her birth parents are Mac and Lily Tolbert. They live and work on a backwoods cattle ranch in northern Florida. Ranch owner Ben Thocco is running out of time and money. He’s going to need a miracle in order to save the ranch and care for the likable crew of unusual hands he employs, including Kara’s parents and his own fragile brother Joey. 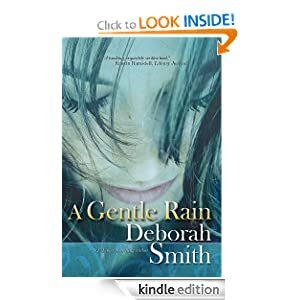 Kara, using a fake identity on the advice of her lawyer, gets a job at Ben’s ranch in Fountain Springs, Florida, where her adventures include entering an unpredictable mare in a local horse show. If you want to make your brain to work with fun you can download and play Mathris – A Math Game for free today only. 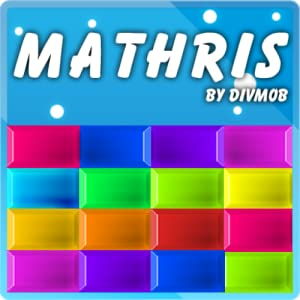 Mathris – A Math Game is a Tetris-style game for kids to learn numbers and build their basic math skills while still having a blast. Players must scramble to solve arithmetic problems while correctly stacking the blocks. The numbers fall like Tetris bricks, but you can only remove the bricks by matching a question and an answer (4+2 with 6), a question with a question that has the same result (4+2 with 3+3), or two of the same numbers (5 with 5). Math Tetris features three game modes (addition, subtraction, and multiplication) and four themes (winter, spring, summer, and autumn). Mathris features high scores, and is integrated with OpenFeint so you can compete with players around the world. Toggle sound effects and background music. Mathris also comes with a tutorial and option to customize the number space (1 to 10, 1 to 20, and 1 to 50). Just how fast are your arithmetic skills?